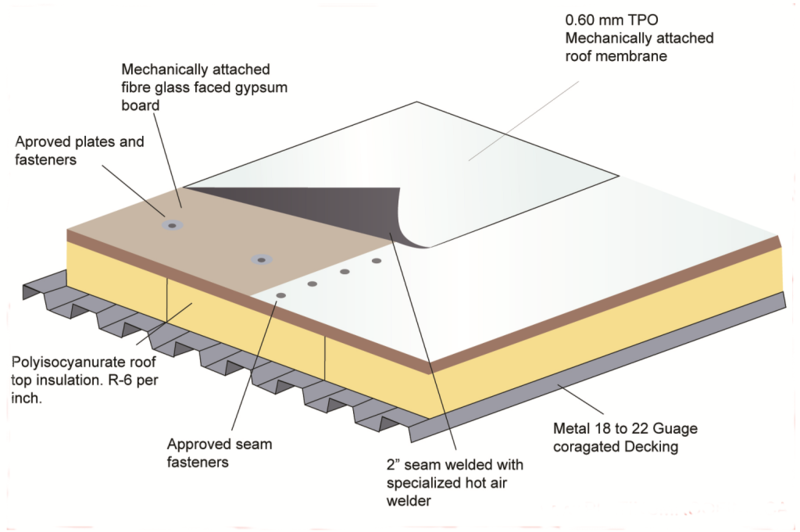 PVC roofing membranes are designed to be watertight and actually remain leak-free for decades of service. The reason for such durability is the hot -air welded seams used to bond together the membrane’s sheets. These seams create a super strong, permanent bond that does not allow any leaks to come through even in times when there has been ponding water sitting on the roof for many days. If at any point, problems with seams arise, it is very easy to fix them by simply rewelding the seams. When it comes to commercial applications, and especially restaurants, EPDM rubber roofs are vulnerable to all kinds of chemicals, solvents and oils. These may cause irreparable damage to an EPDM membrane, which means that it is best not to install it over buildings that are likely to have chemicals, grease and oils on the roof. 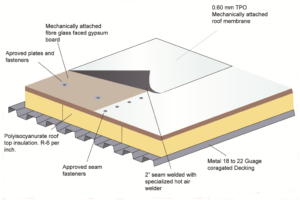 By contrast, PVC roofing membranes are specifically designed to be highly resistant to damage from chemicals, solvents and oils. This feature makes PVC roofs ideal for restaurants, and any commercial and industrial facilities that deal with chemicals and solvents.